Six Twenty Seven: New year, new you? 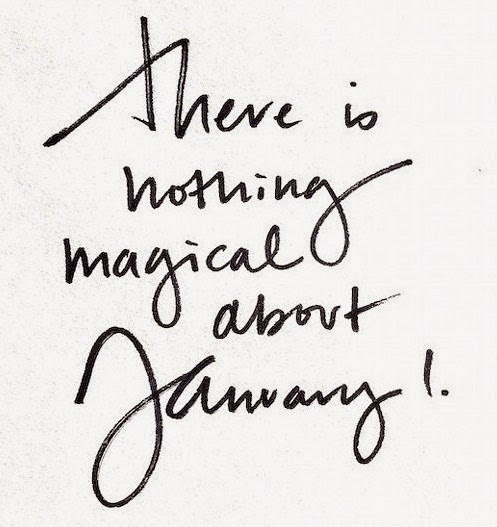 At the risk of sounding a bit smug, there really is nothing special about January 1st. Yes, it marks the start of a new year, but in all honesty, you can make those changes December 1st or June 1st with the same potential for success. Nevertheless, a new year has begun and I'm excited to continue working on goals I set back in August/October of last year. As I've previously blogged about, I decided to prioritize my mental, emotional and physical health. So, what does that mean? It meant recognizing the importance, setting goals, and most importantly taking action. I started seeing a therapist bi-weekly, working out at least 4-5 times a week, and being more accountable for the role I played in my life. So far the progress I've made has been great! It can take a lot of work to get yourself to a place where you're ready to begin a journey, but once you're in the midst of your path, you look up and realize how much success you've already made. This year I'm going to continue working out consistently, being sure to reevaluate my previous goals and make necessary tweaks that better reflect the progress I've made thus far. I'm also continuing my bi-weekly therapy appointments and doing the work necessary to be in an emotionally healthy place. What else? This is so freaking random, but I finally reached my goal of getting all preventative dental work done! This may seem like a small thing to some, but I've been maxing out dental benefits for the past few years to get all cavities, root canals, and crowns taken care of. Last month marked the culmination of my journey when I got my wisdom teeth removed. I'm SO freaking excited to be done with preventative things and back on a routine of cleanings every 6 months. Wishing everyone a healthy, happy and full 2015! Thank you for your continued support with my blog and friendship in real life.